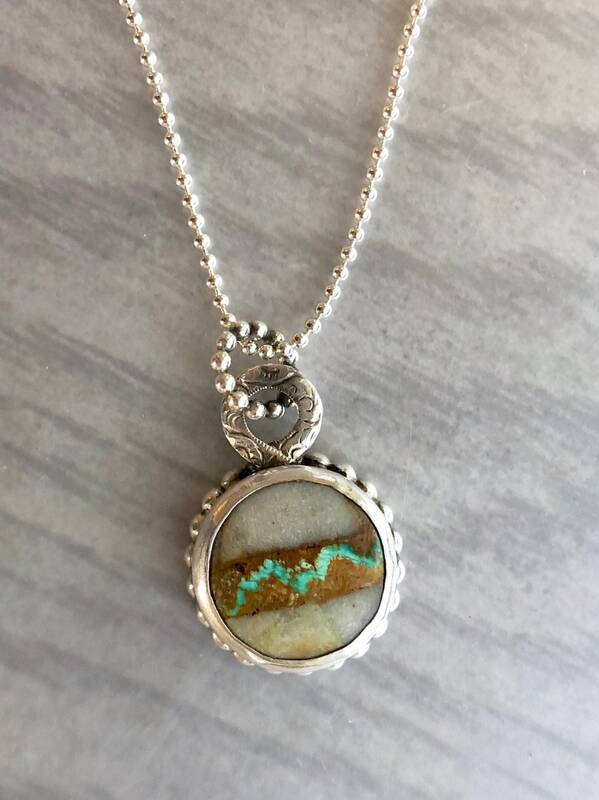 This Royston Ribbon turquoise has a highly unique pattern. 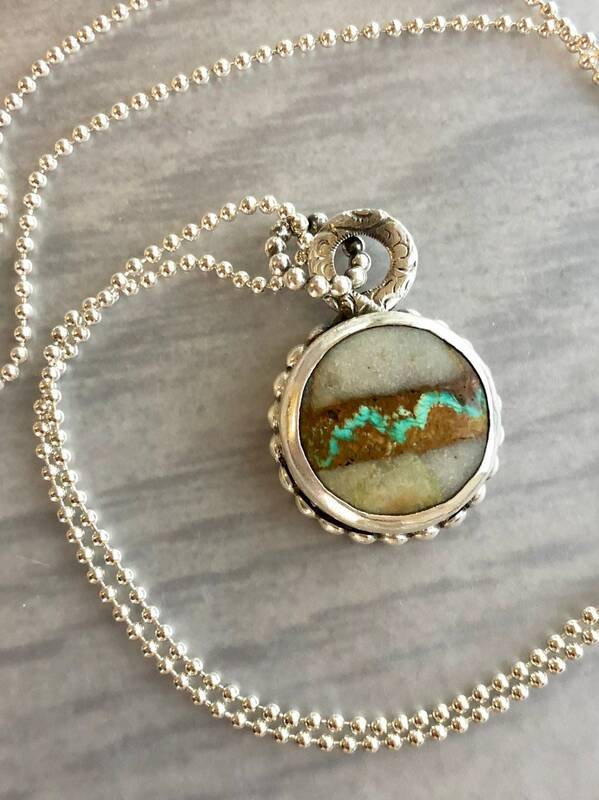 The rock contains three bands, through which a bright blue ribbon of turquoise forms a mountain silhouette. 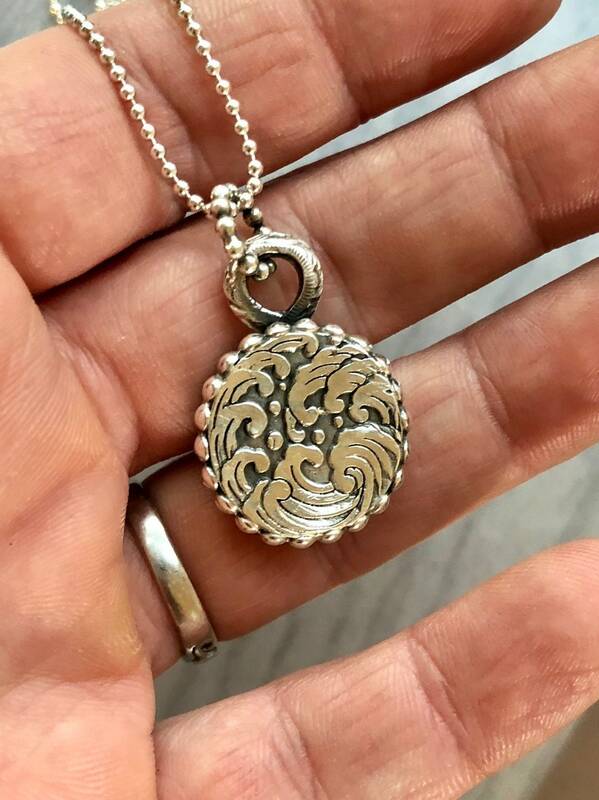 This very thick stone is set in fine and sterling silver with a beautiful wave pattern on the reverse. 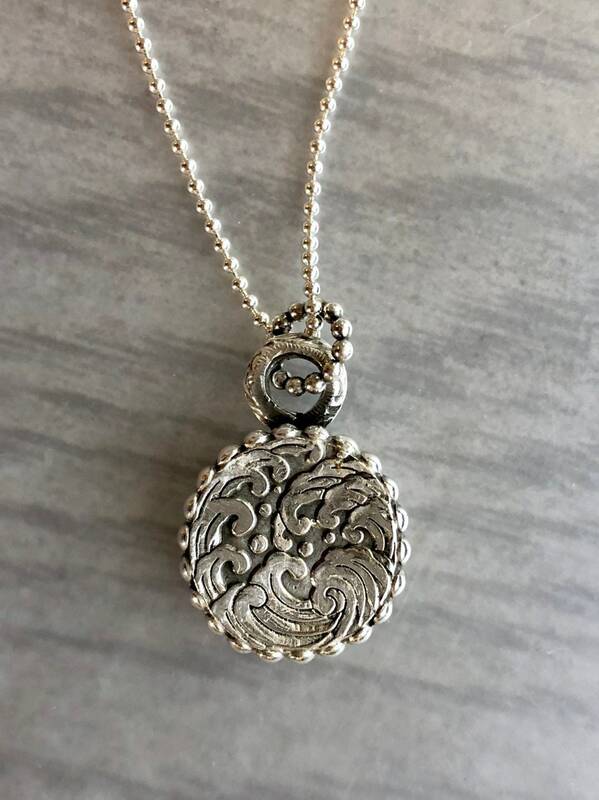 • This round pendant is 3/4” in diameter. 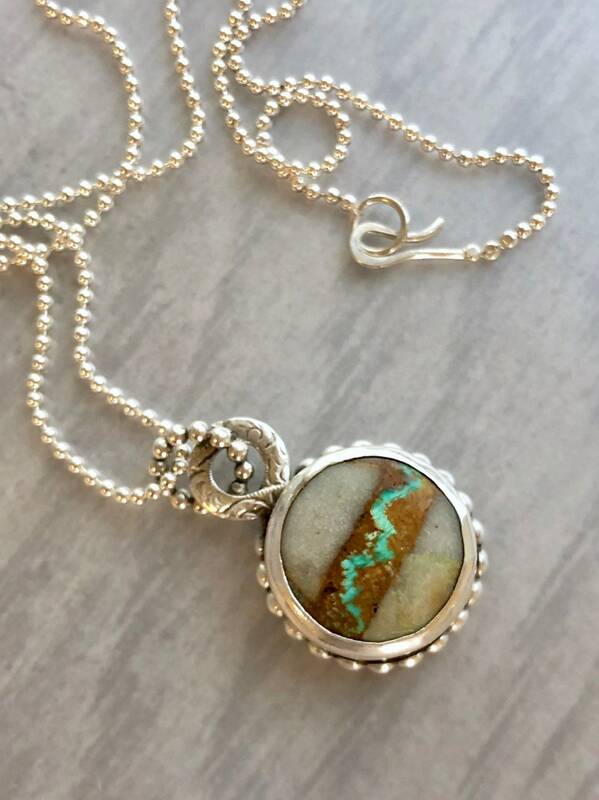 • The turquoise is approximately 18mm in diameter. • The sterling silver ball chain is about 18.5' long. 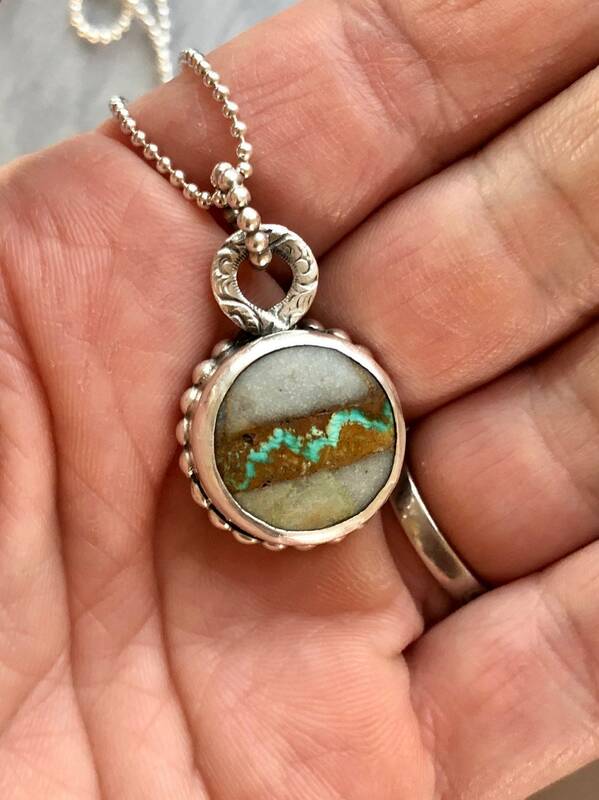 • This natural and untreated turquoise is called Royston Ribbon turquoise because of the striking ribbon-like formations of turquoise in the host rock. The pattern is very unique. I am so fortunate to have purchased this beautiful necklace! It arrived quickly and the silver detail is awesome and the stone is truly unique. 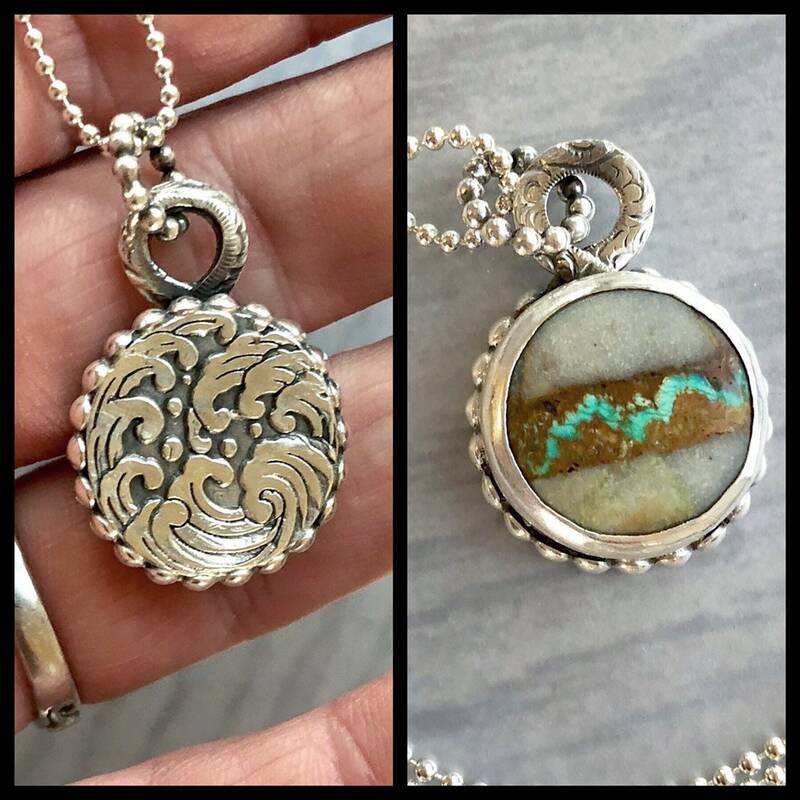 It is a perfect name for the necklace, Waves and Mountains, Land and Sea. I have always loved natural stones, they are naturally beautiful and this one is outstanding. Thank you Eryn, you are tremendously talented.